I’ve left California and returned to a glorious Ohio spring! As I uploaded my pictures from last week, I realized that I could share with you the results of the lemon scone tea. 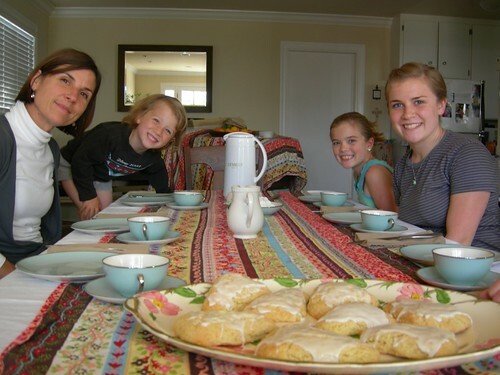 My sister and her kids helped to bake the scones and set the table with my mom’s old china. 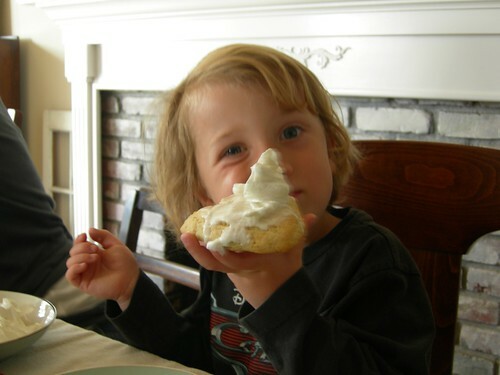 Miles likes the whipped cream, a stand-in for Devonshire cream. Your blog is what is keeping me hanging in there. I am having serious insecurity issues with what I am doing. I am convinced that this is the best way to go, but I also feel driven to “make sure” I am doing enough. (Winston Grammar even popped in my head today!) I know we are not doing enough yet, but I also know that we are doing well as a whole with our education. 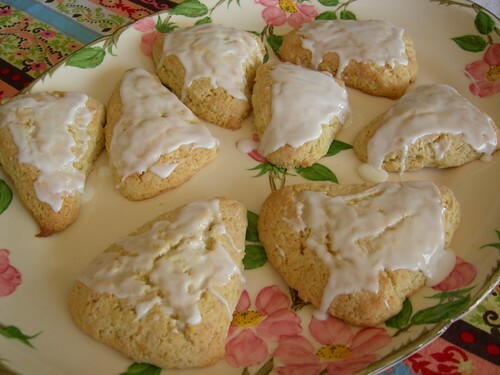 I am in the middle of a kitchen remodel, and when it is finished, we will make your lemon scones! Thank you for the encouragement.